After the banking and financial system crises in 2008, many young Irish professionals began looking outside the country for career opportunities. One of those people was Sligo native Vinnie Boyd. “I graduated from IT Sligo in 2009 at the worst possible time,” said Vinnie. “If you remember back to that period, the jobs market just wasn’t very good. “I did several jobs in various industries for few years, but I wasn’t really going anywhere – there just weren’t any substantial, get-your-teeth-into opportunities available. “So, I decided to leave, partly to experience living in another country but also for my career. Australia was my country of choice and I arrived there in 2012. “I was completely open-minded at that stage about where my future lay. That included staying in Australia for good. The Irish economy and the jobs market in 2014 were still tough, but both were on an upward trajectory. Vinnie worked for an engineering company for a period before securing a position with LotusWorks in Sligo in 2015. He worked there for over a year, but his goal was always to get back to Australia. Vinnie said: “I could see the economy in Ireland was getting stronger, companies were investing and recruiting new people, and multinational companies were setting up operations here. Still, Ireland wasn’t as attractive to me as Australia. 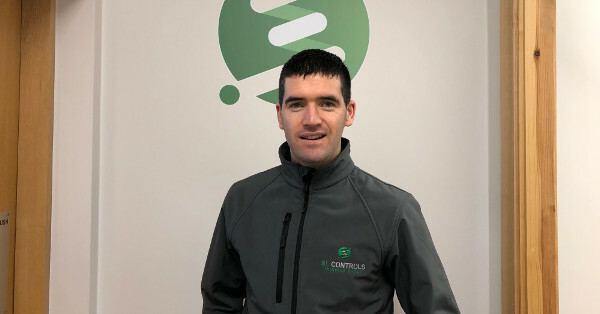 Vinnie returned to Australia in 2017, quickly securing a job for a company run by an Irish expat providing services to the construction industry. Things had changed, though. A trip back to Ireland for Christmas 2017 put a different perspective on things for Vinnie. “It seemed like over the year I had been away, Ireland, and particularly Sligo, had really turned a corner,” Vinnie said. “I felt a real buzz and could see the economy was not only picking up, it was now strong and was growing. That job opportunity came from SL Controls, as a Business Development (Associate). Vinnie took up this position earlier in 2018 and hasn’t looked back since. Vinnie said: “It’s unbelievable the difference, really. Not only do I now have a fantastic job, but the company is growing significantly, and the sector we are in is growing too. It’s really exciting to be a part of it, and to further my career. “Then there’s the work-life balance, which I actually have here in Sligo. I’ll easily put up with the slightly colder weather and more rain to not have to spend huge amounts of my day commuting or a large proportion of my salary paying rent. It’s the opposite now, actually, as property prices are low so buying is an option, plus my drive to work takes just 10 minutes. “There are other things too, both in work and out. The flexibility SL Controls offers is far better than any employer I encountered in Australia, and Sligo is a fantastic place to live. I’m close to friends and family, I can play the sports I like playing, and I can watch football and GAA on the TV. Is Vinnie’s story unique, though? What about other people he knows who followed a similar path to him? “No, I don’t think my story is unique at all,” said Vinnie. “I know lots of people, including some of my friends, who also moved away five, eight, 10 years ago, and who are now coming back to Ireland. “They want to be closer to the friends and family they grew up with, but there are career opportunities here now – really good career opportunities. People simply want to come home to live in Ireland again. “I’d recommend it to anyone. I know SL Controls is currently recruiting and I know the HR team loves hearing from Irish engineers living abroad. To find out more about the engineering career opportunities that currently exist at SL Controls, visit our Careers page.